Puur Terschelling: I love Amsterdam, the capital city of Holland. It is a country where much of the land is below sea level, which lends the place a particular charm. By world standards, Amsterdam is a small city, its population being less than one million people. But I love this small size. Combined with its unusual geography and exciting history, Amsterdam is a unique capital. I take great pride in being a visitor to a city that offers many inexpensive and comfortable accommodation options. When in Amsterdam, I stay at the Uptown Bed and Breakfast, in the center of the town. Even though the building is historic, the rooms are clean, bright and modern, and all with their own bathrooms. The people who work there are very friendly and always ready with information about the bars, restaurants and nightclubs where my companions and I can have fun. And the price of the Uptown is always within our budget. Staying at the Uptown makes it possible for us to enjoy excursions to other areas. 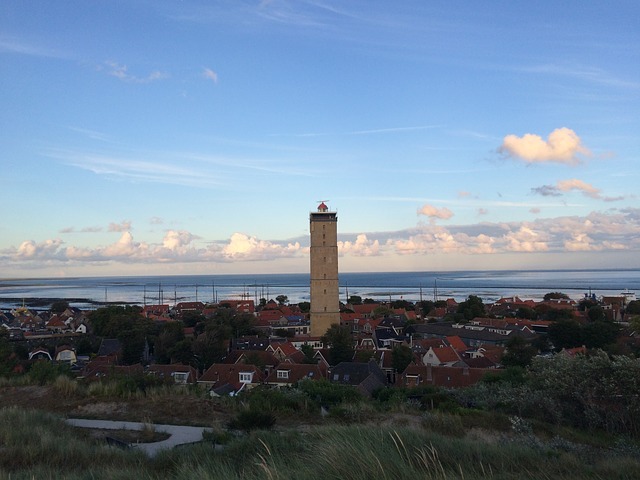 One of my favorite places is the Frisian island of Terschelling, just off of the north coast of Holland. We travel to Harlingen, about 120 km from Amsterdam, and take one of the many daily ferries to the island. My favorite way to see Puur Terschelling is to walk about, our picnic, cameras and extra clothing carried by one of the donkeys that visitors can hire. You also have the choice of hiring a Land Rover and driving about or of travelling in a covered wagon, or even riding upon one its famous Frisian horses. Overall, I find that staying in the Uptown allows me ease of travel to other interesting sights in Amsterdam. I have enjoyed many cruises upon its canal network, and spent fine afternoons in the Vondelpark. As a lover of art, I have seen Rembrandt’s famous painting, The Night Watch, in the Rijksmuseum. To enjoy all the sights of Holland, I do recommend staying at the Uptown Bed and Breakfast.